Owning a scan tool is a necessity in the automotive workshop but with so many available which one best suits your needs? Workshops who specialise in diagnostic work will need a higher-level scan tool than the smash repairer down the road who only needs to erase SRS fault codes and the like. Here at the Northern Sydney Institute we tool tested the CR Plus from iCarsoft. After unpacking the CR Plus unit, we simply updated the software after connecting the removable SD card to our laptop and logging on the website. A great feature of this tool is that it allows for unlimited updates without subscription. Then it was off to see what it could do. 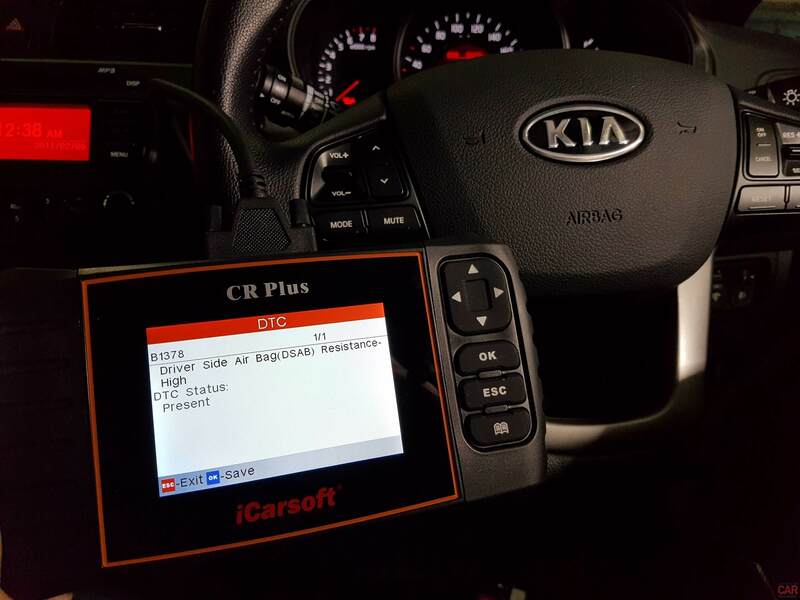 It was good to see that the CR Plus is a step above a simple OBD II code reader with a brand specific menu where you can select the vehicle you are working on. For this review we used our UB Kia Rio as a test vehicle. The unit is quite small and comes in a handy carry case, once connected to the vehicle it powers up directly from the OBD II port. 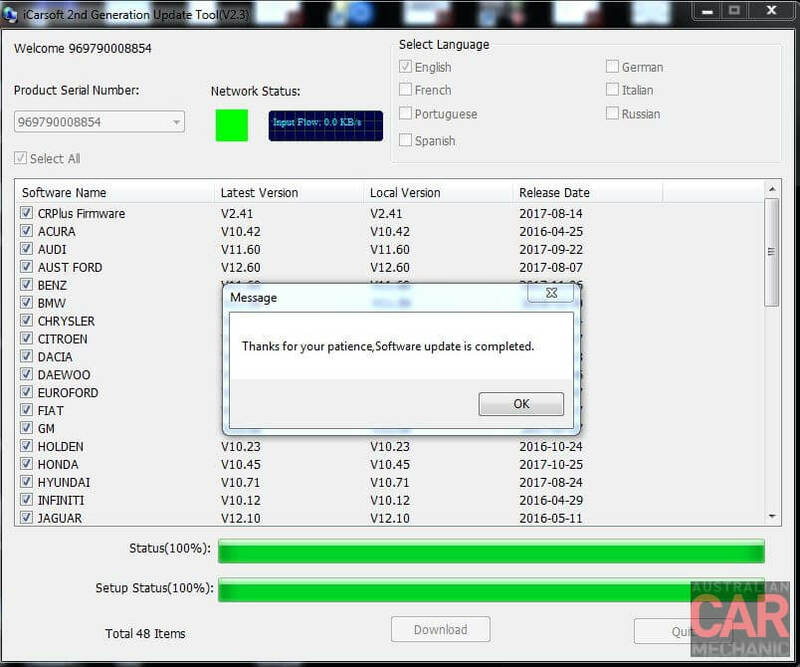 The menu is easy to use and after checking a simple engine fault, we induced a fault in the SRS system to see if we would be able to erase the fault code. To our surprise we were able to communicate with the SRS control unit and erase the fault. The CR Plus also has an inbuilt OBD II library if you need to look up a fault code. The CR Plus is also able to show live data in most control units and if you select the OBD II icon from the menu you can graph the data on the colour screen. The graphing option appears only available with the OBD II menu option. We tested the CR Plus over many of the student’s vehicles and for an entry level tool it is quite capable of carrying out most workshop functions such as resetting service intervals and erasing fault codes. Most scan tools promise the earth and deliver very little so it’s nice to see a low-cost scan tool that has raised the bar.